N 51° 30' 5" and W -0° 9' 42"
Knightsbridge in Greater London (England) is located in United Kingdom a little west of London, the country's capital. Local time in Knightsbridge is now 10:15 PM (Wednesday). The local timezone is named Europe / London with an UTC offset of one hour. We know of 9 airports in the wider vicinity of Knightsbridge, of which 5 are larger airports. The closest airport in United Kingdom is London City Airport in a distance of 9 mi (or 15 km), East. Besides the airports, there are other travel options available (check left side). There are several Unesco world heritage sites nearby. The closest heritage site in United Kingdom is Tower of London in a distance of 10 mi (or 16 km), East. Also, if you like golfing, there are multiple options in driving distance. We found 4 points of interest in the vicinity of this place. If you need a place to sleep, we compiled a list of available hotels close to the map centre further down the page. Depending on your travel schedule, you might want to pay a visit to some of the following locations: Kensington, London, Camden Town, City of Westminster and Wandsworth. To further explore this place, just scroll down and browse the available info. Let's start with some photos from the area. 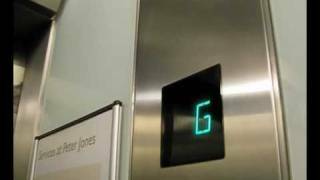 modernized fairly old Otis lifts at Peter Jones (John Lewis) in Sloan square. http://benobve.110mb.com. Located at 51.4997, -0.163611 (Lat. / Lng. ), about 0 miles away. The Spaghetti House Siege began on the late evening of 28 September 1975, at the Spaghetti House restaurant in Knightsbridge, London. Franklin Davies, a Nigerian, led two other gunmen in an attempted armed robbery of the Spaghetti House, where managers of the chain had assembled to pay in the week's takings of approximately £13,000. When the armed robbery did not go to plan, nine Italian staff members were taken hostage, and moved into the basement. Located at 51.5022, -0.15777 (Lat. / Lng. ), about 0 miles away. Located at 51.5017, -0.1625 (Lat. / Lng. ), about 0 miles away. The Hyde Park Barracks are located in Knightsbridge in central London, U.K. on the southern edge of Hyde Park. Historically they were often known as Knightsbridge Barracks and this name is still sometimes used informally. Hyde Park Barracks is three quarters of a mile from Buckingham Palace, close enough for the officers and men of the Household Cavalry to be available to respond speedily to any emergency at the Palace. Located at 51.5019, -0.166667 (Lat. / Lng. ), about 0 miles away. 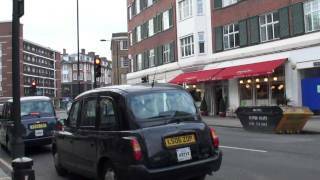 Brompton Road is a street in Knightsbridge, London, in The Royal Borough of Kensington and Chelsea . It starts from Knightsbridge tube station and runs south-west through an extremely wealthy residential area until it reaches Egerton Gardens and the area to the east of South Kensington tube station. It ends at what is popularly known as Brompton Cross, becoming Fulham Road, home of Chelsea Football Club. There are 5-star hotels and many top restaurants and shops along the road. Located at 51.4989, -0.165 (Lat. / Lng. ), about 0 miles away. The Royal Thames Yacht Club (RTYC) is the oldest sailing club in the United Kingdom. Its headquarters are located at 60 Knightsbridge, London, England, overlooking Hyde Park. Located at 51.5023, -0.1591 (Lat. / Lng. ), about 0 miles away. 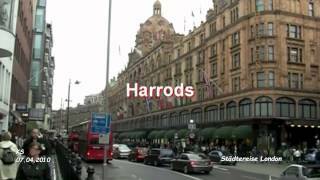 The Harrods bombing usually refers to the car bombing that occurred at Harrods department store in London on 17 December 1983. The bomb had been planted by members of the Provisional IRA, although the IRA Army Council later claimed that it had not authorised the attack. IRA members had sent a warning 37 minutes before the explosion, but the area was not evacuated. Six people were killed – three police officers and three civilians. Located at 51.4997, -0.1625 (Lat. / Lng. ), about 0 miles away. Prince's Skating Club was an ice rink in the Knightsbridge area of London, England. It saw a number of firsts for ice hockey in Britain and Europe. The rink was opened on Montpelier Square on 7 November 1896 by the Princes Sporting Club. It operated on a membership-only basis and was aimed at the elite of British figure skaters who wished to practise on uncrowded ice. http://www. isaq. org. au/Newsletters/June%2004%20Newsletter. Located at 51.501, -0.166 (Lat. / Lng. ), about 0 miles away. Hans Place, London, England, is a residential garden square situated immediately south of Harrods in Chelsea. It is named after Sir Hans Sloane, 1st Baronet, PRS (16 April 1660 - 11 January 1753), who was a physician and collector, notable for bequeathing his collection to the British nation which became the foundation of the British Museum. President of the Royal Society and of the Royal College of Physicians of London, he also invented drinking chocolate and gave his name to Sloane Square. Located at 51.4978, -0.161389 (Lat. / Lng. ), about 0 miles away. Located at 51.497, -0.16019 (Lat. / Lng. ), about 0 miles away. The Diana,Princess of Wales Memorial Walk is a 7-mile long circular walking trail in London dedicated to the memory of Diana, Princess of Wales. 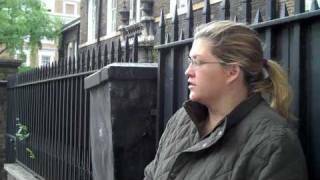 It goes between Kensington Gardens, Green Park, Hyde Park and St. James's Park in a figure-eight pattern, passing five sites that are associated with her life: Kensington Palace, Spencer House, Buckingham Palace, St. James's Palace, and Clarence House. Located at 51.505, -0.1594 (Lat. / Lng. ), about 0 miles away. The Embassy of Kuwait in London is located on Knightsbridge, at the Albert Gate, one of the entrances to Hyde Park. It occupies a large 19th century house immediately opposite the French Embassy. Located at 51.5024, -0.1587 (Lat. / Lng. ), about 0 miles away. The Embassy of Denmark in London is located on Sloane Street, in Kensington. It occupies a large, modern building designed by Danish architect Arne Jacobsen and completed in 1977. The building also houses the Danish-UK Chamber of Commerce founded in 1989 by the Embassy (amongst others). Located at 51.4978, -0.1594 (Lat. / Lng. ), about 0 miles away. La Noisette is a presently closed restaurant site, located at 164 Sloane Street in London, England. Located at 51.4987, -0.159306 (Lat. / Lng. ), about 0 miles away. The Capital Restaurant is a restaurant located in London, England. For several years, the restaurant held two stars in the Michelin Guide. The restaurant lost both stars in 2010, following the departure of Executive Chef Eric Chavot. Located at 51.5, -0.1616 (Lat. / Lng. ), about 0 miles away. Zafferano is an Italian restaurant located in London, and was originally run by Giorgio Locatelli on behalf of A-Z Restaurants until 2005. The restaurant was awarded one Michelin star in 1999, which it held until this star was stripped from it 2012. Located at 51.499, -0.157708 (Lat. / Lng. ), about 0 miles away. Mandarin Oriental Hyde Park, London is a five-star hotel, located in the exclusive Knightsbridge district of London, owned and managed by Mandarin Oriental Hotel Group. Housed in a historic, Edwardian-style building, the hotel originally opened its doors to the public as the Hyde Park Hotel in 1902. Mandarin Oriental Hotel Group purchased the hotel in 1996 and conducted a complete renovation of the 198 rooms and suites, as well as a re-design of the restaurants and bar. Located at 51.5023, -0.16004 (Lat. / Lng. ), about 0 miles away. 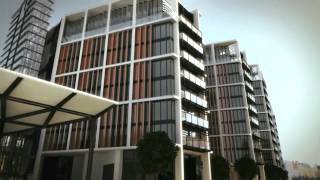 Lowndes Square is an upmarket residential community in Belgravia, London. Like much of Belgravia it is characterised by grand terraces with white stucco houses. The square runs parallel with Sloane Street to the east, east of the Harvey Nichols store and Knightsbridge tube station. It is home to some of the most expensive properties in the world. Located at 51.5014, -0.158889 (Lat. / Lng. ), about 0 miles away. Sheraton Park Tower Hotel is a luxury 5-star hotel in London, England. It is situated at 101 Knightsbridge near Hyde Park, in the Belgravian district of The Royal Borough of Kensington and Chelsea. Its restaurant One-O-One headed by chef Pascal Proyart has been voted "Best Fish Restaurant" by Harden's Guide for five consecutive years. 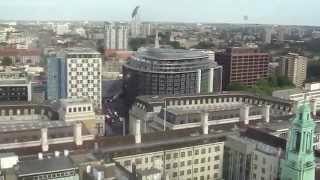 The building was designed by Richard Seifert, and was completed in 1973. Located at 51.5017, -0.15886 (Lat. / Lng. ), about 0 miles away. The Japanese Village in Knightsbridge, London, was a late Victorian era exhibition of Japanese culture located in Humphreys' Hall, which took place from January 1885 until June 1887. Located at 51.5015, -0.1639 (Lat. / Lng. ), about 0 miles away. Situated on the waterfront setting of the Greenbank area in Falmouth, the Royal Cornwall Yacht Club (RCYC) was formed in in 1871, and is the 15th oldest “Royal” yacht club in England. The Embassy of Ecuador to the United Kingdom is located in a white stucco-fronted red-brick building on Hans Crescent in the Knightsbridge area of London. The embassy is a suite of rooms occupying part of the ground floor of the building, which has been described as an "apartment block". The Ecuadorian ambassador is Ana Albán Mora. Located at 51.499, -0.1614 (Lat. / Lng. ), about 0 miles away. The Westminster Synagogue is a non-affiliated Jewish Reform synagogue and congregation near Hyde Park. It is located in Kent House, a restored Victorian town house in Knightsbridge. The building, which dates from the late 1800s, also houses the Czech Memorial Scrolls Centre. Located at 51.5013, -0.1666 (Lat. / Lng. ), about 0 miles away. The Embassy of Colombia in London is the diplomatic mission of the Republic of Colombia to the United Kingdom of Great Britain and Northern Ireland; it is headed by the Ambassador of Colombia to the United Kingdom. It is located in the Knightsbridge district of London, near Harrods, Hyde Park, and Hans Place, precisely at 3 Hans Crescent at the intersection of Basil Street, and it is serviced by the Knightsbridge station. The Embassy is also accredited to the Republic of Ireland. Located at 51.4991, -0.1615 (Lat. / Lng. ), about 0 miles away. Scotch Corner is the junction between Sloane Street, Knightsbridge and Brompton Road. It is named after Scotch House which used to be on the corner. Located at 51.5018, -0.160569 (Lat. / Lng. ), about 0 miles away. These are some bigger and more relevant cities in the wider vivinity of Knightsbridge.